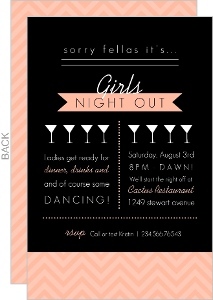 Women, you've been planning this party for a while now. 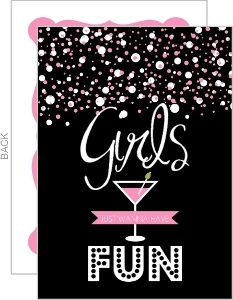 If not actually planning it, then planning to plan it. 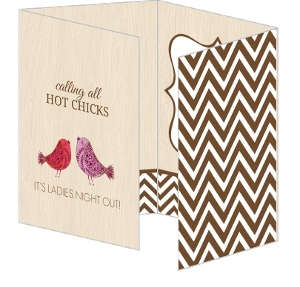 You now need some cards that won't only entice the ladies to come out and play, but inspire them! 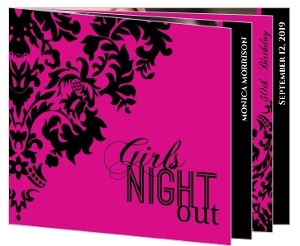 Fancy shoes, dresses, and cocktails are all fantastic themes for Girls Night Out cards, and also, a great many women just so happen to love those things. 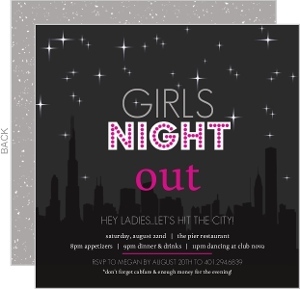 Design your custom girl's night out card, and enjoy our meticulous quality control, top of the line card stocks, and really fast shipping and processing. 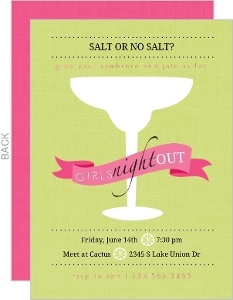 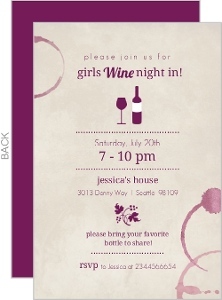 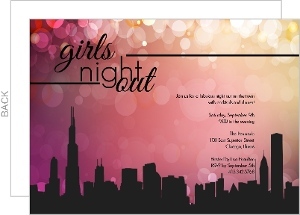 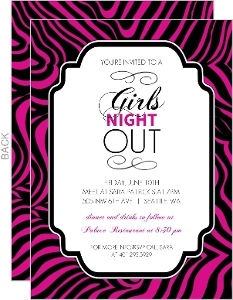 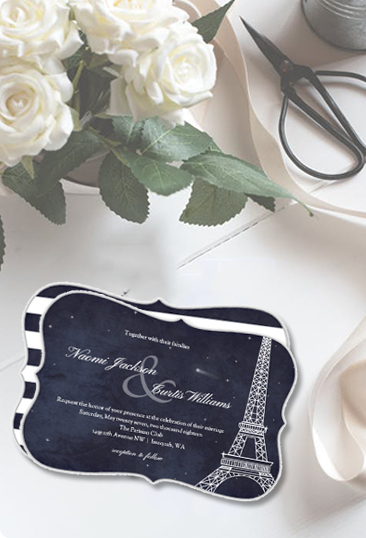 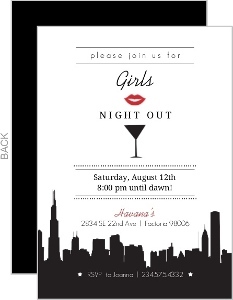 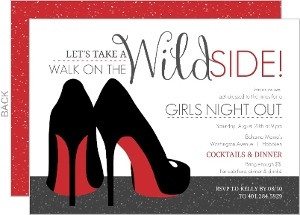 Pick a design for your girls night out invites, personalize to make it yours, and order today! 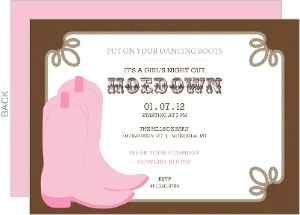 And don't forget to look at the other things we have around here to help you have the best night ever, no hyperbole. 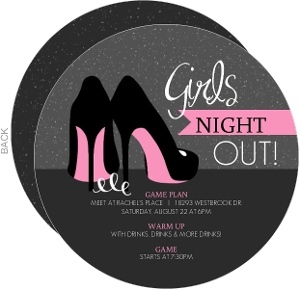 Get some buttons to identify who's all in the posse, and maybe even a tshirt for the crew if you're going on vacation (it sure beats a tattoo).